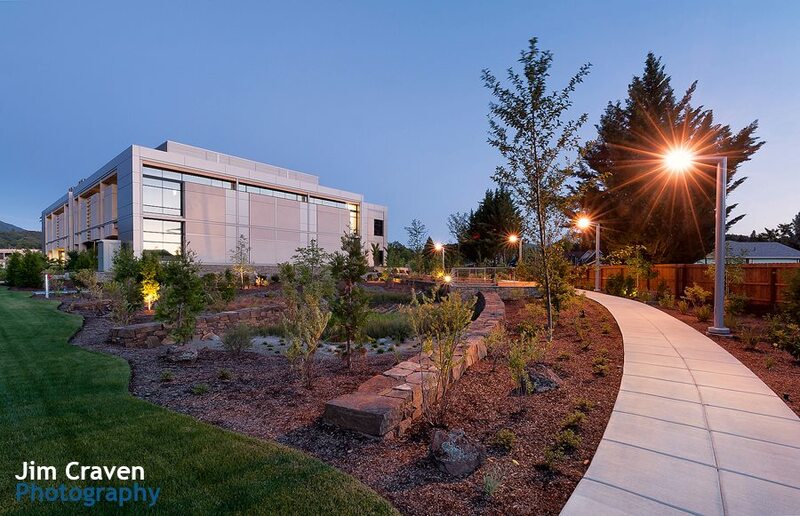 One aspect of our site design tool-kit here at Herrera (including site civil and landscape architecture) is demonstrated with LEED projects of a variety of sizes and scales. 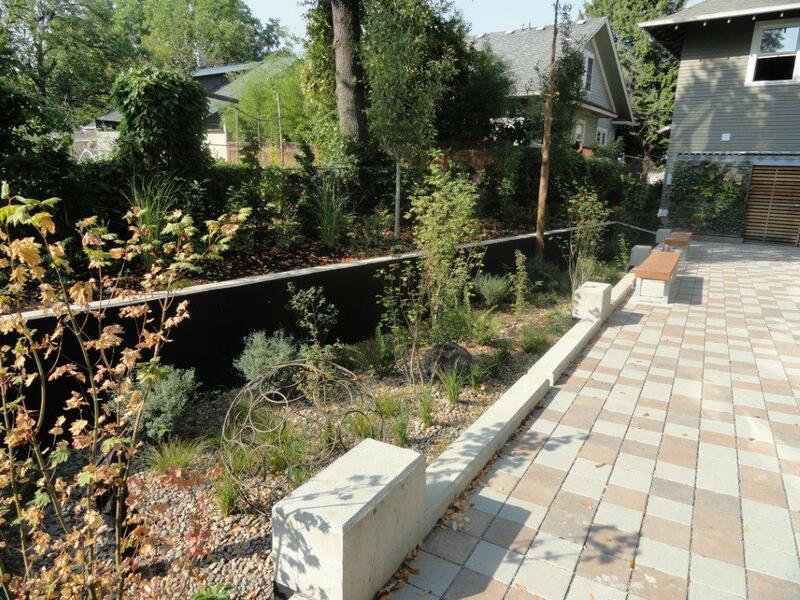 Our knowledge and expertise of stormwater, open space, habitat, water conserving irrigation, and water reuse. Our LEED professionals have experience with many projects using LEED for New Construction, Existing Buildings, Homes, Neighborhood Development, and Healthcare and projects have achieved from Certified to Platinum, the highest rating. 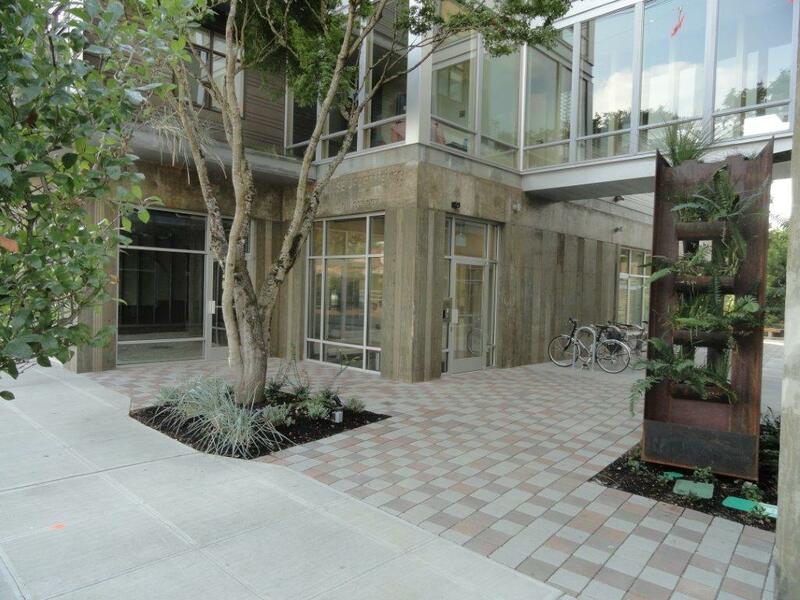 A recent certification of the Women’s Center of Southern Oregon in Grants Pass, Oregon (LEED NC – Silver) and the Move the House Apartments in Portland, Oregon (LEED Homes – Platinum) provides an opportunity to show how ecological site design at different densities and scales aids in achieving higher ratings, and more importantly, more sustainable sites. From the LEED site, the overview of the Women’s Center shows that multiple credits are possible through a focus on site strategies that maximize open space. Working with TVA Architects (Portland) and Green Building Services (Portland) along with an interdisciplinary team including owners from the Women’s Center and Asante, the project site design was instrumental in capturing the best attributes of site drainage and ability protect existing native Oaks, while showcasing the building to faces the street and providing parking behind around back. Three Rivers Community Hospital is also located in proximity, so doctors needed quick access off site via bike, pedestrian routes. 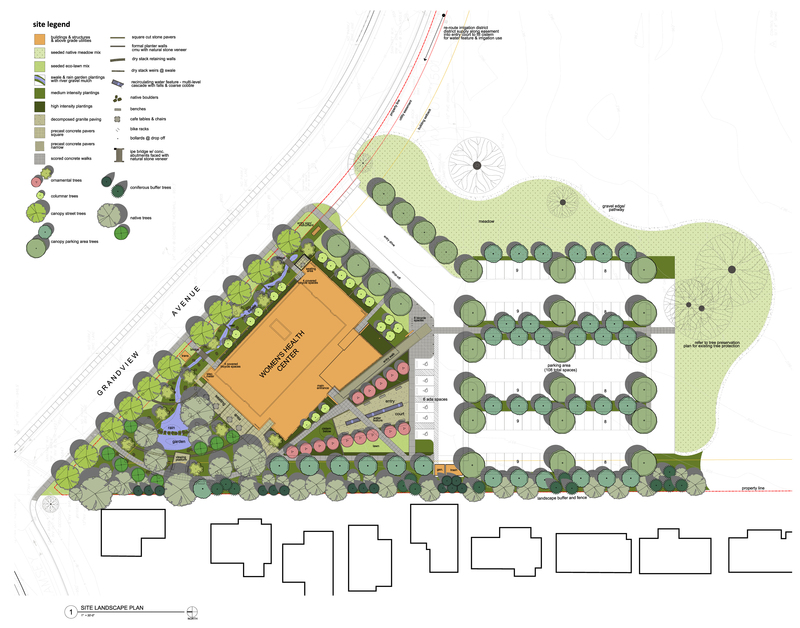 Stormwater was a big part of the narrative of the site, with parking areas draining to conveyance swales that fed to a large rain garden amenity in the north portion of the site articulated with local stone. 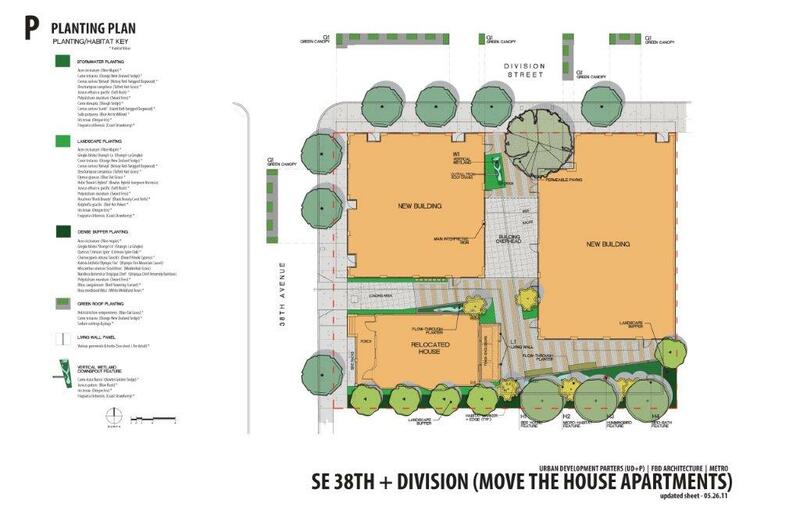 Rather than hide this infrastructure in pipes and filters, it is front and center throughout the site, along the streetscape in front of the building and surrounded by patios and open spaces. The additional stormwater quality control also aided in addressing one of the Regional Priority Credits in the Pacific Northwest. 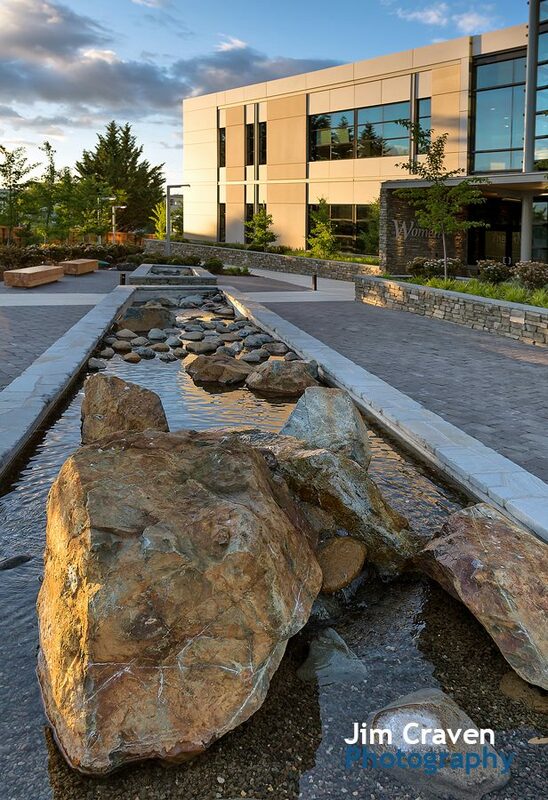 The focus on stormwater doesn’t have to be purely functional, but as seen, can be integrated, An entry courtyard rounds out the site, with a Rogue River inspired water feature, and reclaimed wood benches, providing a place for respite for patients, visitors and staff. The Move the House Site achieved a total of 93.5 points to garner the highest Platinum rating in LEED for Homes. This site is a mixed use project in Portland design by Francis Dardis of STACK Architecture for Portland developer Urban Development Partners. The site relocated a house (thus the name) and included apartments atop retail space in two buildings connected by a skybridge. The site spaces that remain include a range of sustainable site features woven through the remaining spaces. The rear portion of the site has a large flow through planter that retains and treats all of the site runoff from rooftops, which also provide a buffer to adjacent spaces. Drought tolerant plants are irrigated via efficient irrigation systems to meet additional LEED criteria for water usage. 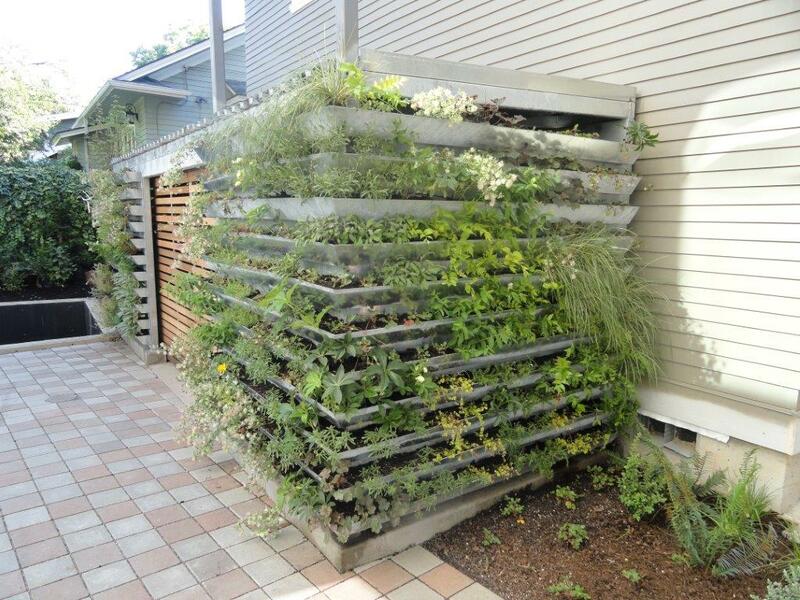 There is also a unique living wall that surrounds the trash enclosure to provide screening from view and softening of the spaces. 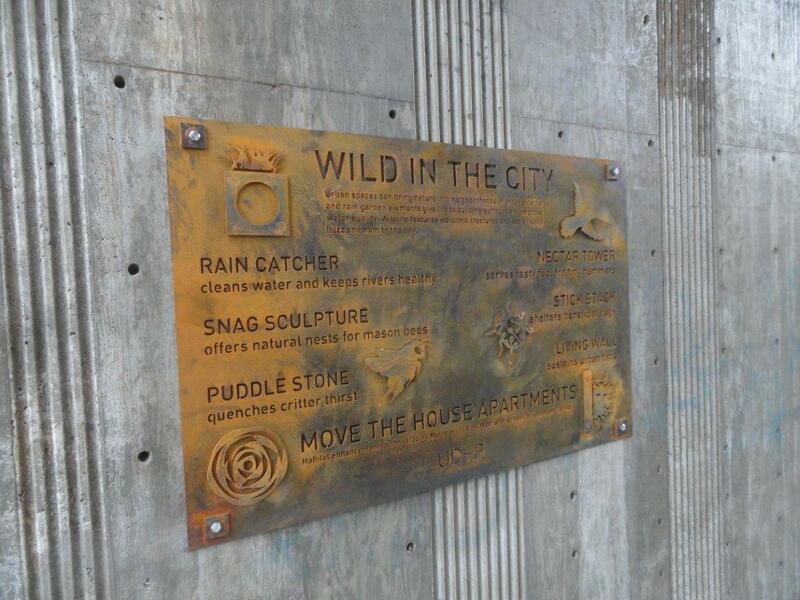 A grant from Metro provided some additional habitat friendly elements (sculptures, snags, insect habitat, areas for mason bees, and hummingbird feeders), along with signage describing the ‘Wild in the City’ elements. The incorporation of whimsical elements is not a prerequisite of LEED, but the desire to create places, not just sites, drives all of our design concepts. Another part of the equation is the collaborative nature of any LEED project, which offers credit for integrated project processes like design charrettes, workshops, and working closely with design team, owners, LEED consultants. This requires a knowledge of the LEED processes not just conceptually but through on the ground experience. Finally, while LEED is somewhat more commonly pursued on development projects, there are a number of other systems we are familiar with and use regularly, particularly Salmon Safe, Living Building Challenge, and the Sustainable Sites Initiative, which is releasing a new draft imminently. The use of these rating systems and guidelines allows for a clarity of direction for projects and to set a bar that is measurable with other projects, but for us, the same level of integration and site specific design strategies is a guide all of our projects – even those not using a rating system.